It's the "movie" that everyone's talking about -- and it hasn't even been made yet. Before his historic meeting with Kim Jong Un in Singapore, President Donald Trump showed the North Korean leader a movie trailer. The trailer, produced in Korean and English, opens with a view of Earth from space as a narrator says: "Seven billion people inhabit planet Earth. Of those alive today, only a small number will leave a lasting impact, and only the very few will make decisions or take actions that renew their homeland and change the course of history." Shots of the Colosseum in Rome and the Great Wall of China give way to a North Korean flag before Trump and Kim appear. “What if a people that share a common and rich heritage can find a common future. Their story is well known. But what will be their sequel?" the narrator asks as scenes from North Korea fill the screen. President Donald Trump and North Korea leader Kim Jong Un walk from their lunch at the Capella resort on Sentosa Island on June 12, 2018 in Singapore. 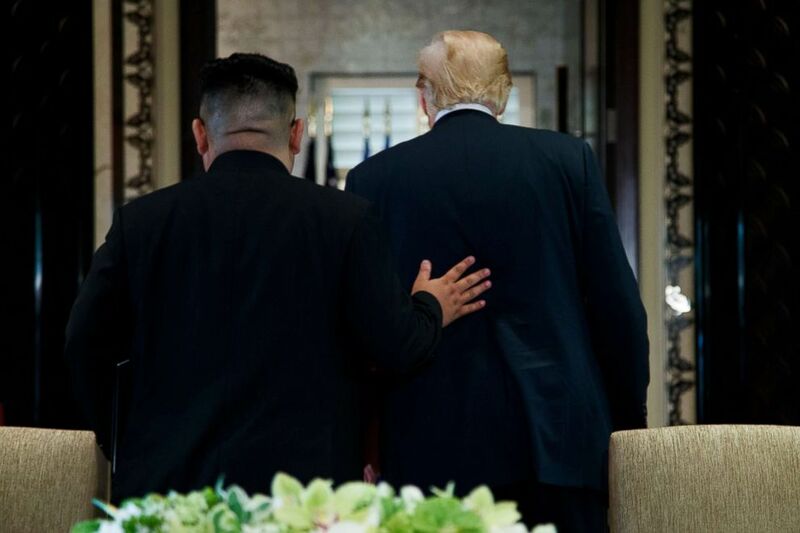 "Featuring President Donald Trump and Chairman Kim Jong Un in a meeting to remake history, to shine in the sun. One moment. One choice. What if? The future remains to be written," the narrator continues. But the four-minute trailer "wouldn't cut it as a 'Saturday Night Live skit,' said Peter Travers, a longtime "Rolling Stone" film critic and the host of ABC News' "Popcorn With Peter Travers." Its real purpose seems to be to pose one question to Kim. "Will he shake the hand of peace?" the narrator asks. "So Trump is challenging Kim Jong Un to shake his hand and go into the light," Travers said. 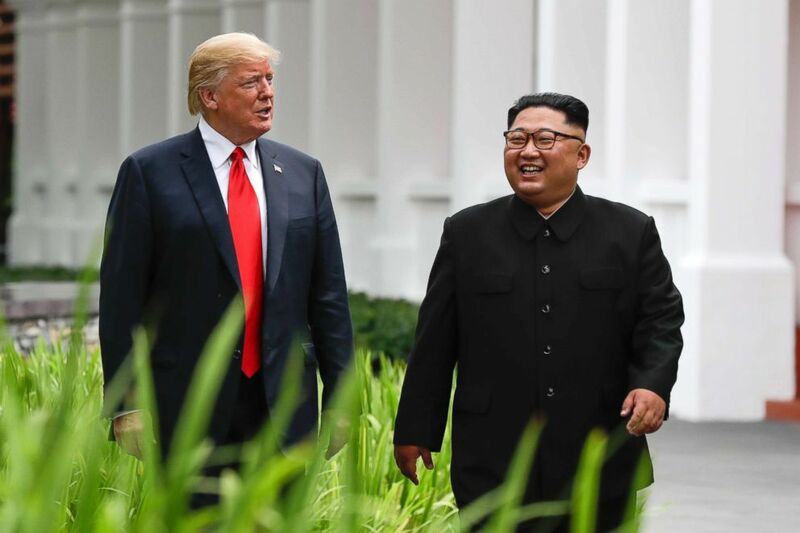 "If this were really an ‘Avengers’ movie trailer, no one would believe it, because what we’re seeing is ‘The Donald’ versus ‘Rocket Man,’ ‘Batman vs. Superman.’"
"It is maybe the most propagandistic four minutes that I have ever seen," Travers added. This still image made from video posted to the verified White House YouTube page shows the beginning of the trailer played during the U.S.-North Korea summit in Singapore. Travers also questioned the origin of the video. "Who made this? 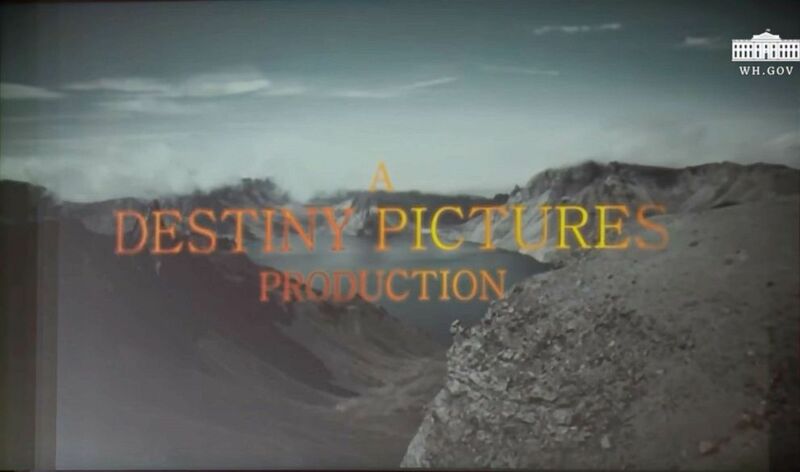 Destiny Pictures? Did Trump hire them to make the movie? I think that’s yet to be decided, but what we’re seeing on screen is nothing but people saying, ‘Look, let’s cheer. Let’s propagandize,'" said Travers. Trump appeared to answer that question in his comments to reporters following the summit. "We had it made up. I showed it to him today, actually during the meeting, toward the end of the meeting and I think he loved it," Trump said of the video during a news conference. The video was also shown to a wider audience at the start of Tuesday's press conference before making the rounds on social media. And on condition of anonymity, a senior U.S. government official told ABC News on Tuesday that the video is a U.S. government production. For Travers, the message is clear. "It's the scariest four minutes I've seen on screen this year," he said. President Donald Trump and North Korean leader Kim Jong Un walk off after a signing ceremony during a meeting on Sentosa Island on June 12, 2018 in Singapore. Watch Peter Travers' review of the movie trailer in the video above.